This isn’t exactly a 30 minute meal soup, but it’s also not one of my Sunday soup recipes that tends to require a day of cooking. It’s someplace in the middle. Get home at a reasonable time and you can easily make it on a weeknight. 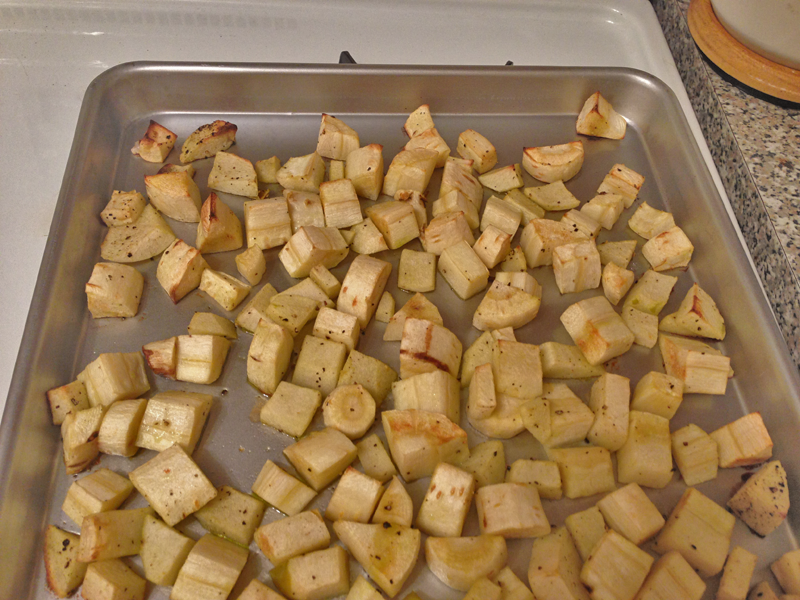 To cut down my at-the-stove-soup-making time I roasted the parsnips (along with some apples for sweetness) in the oven until soft. This way I could set the oven timer and occupy myself with other exciting activities household chores while the parsnips roasted. 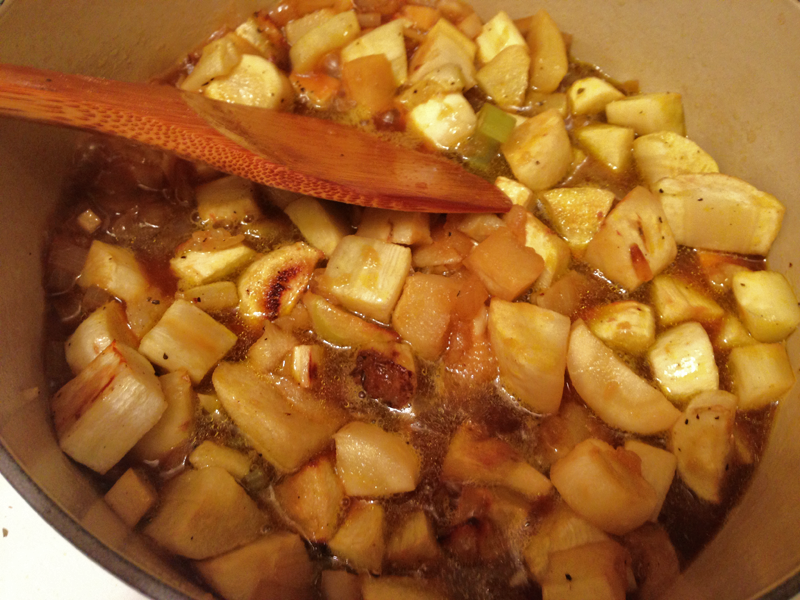 After it was a matter of quickly sauteing some garlic, onion, celery, adding the apples and parsnips, broth and cream. Garnish with a dot or swirl of pesto and you’re good to go. Preheat oven to 400°F. Spread parsnips and apples onto a large baking sheet, drizzle with 1 tablespoon olive oil, salt and pepper and toss well to coat. Bake for 30 minutes, until parsnips are tender. In a large Dutch oven heat remaining tablespoon of olive oil. Add onion and garlic and cook over medium heat for 3 minutes. 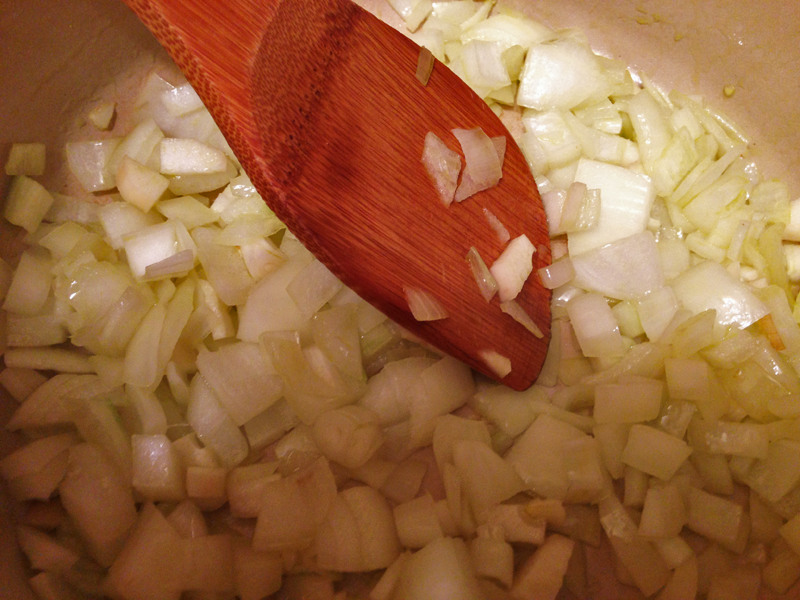 Add celery and continue cooking until vegetables have softened. Add parsnip and apple mixture and vegetable broth. Bring to a boil. Reduce heat and add milk, again bringing to a slow boil. 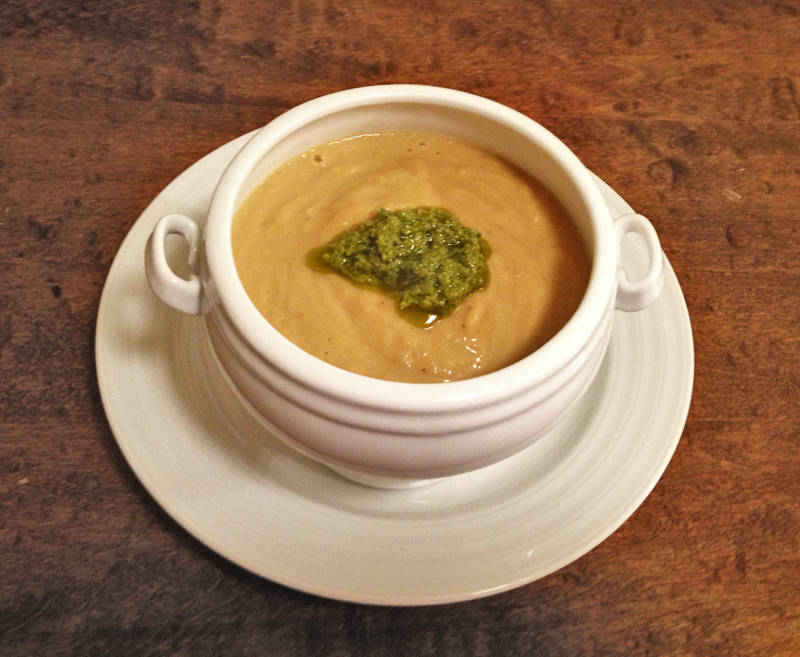 Remove from heat and puree soup with an immersion blender or in batches with a food processor. Return to stove reheat if desired. Stir in cream and additional salt and pepper to taste. Ladle soup into individual bowls and top with a dollop or swirl of pesto, if desired. Serve with a light salad. Previous postMarch Foodie Penpal Reveal! YUM! 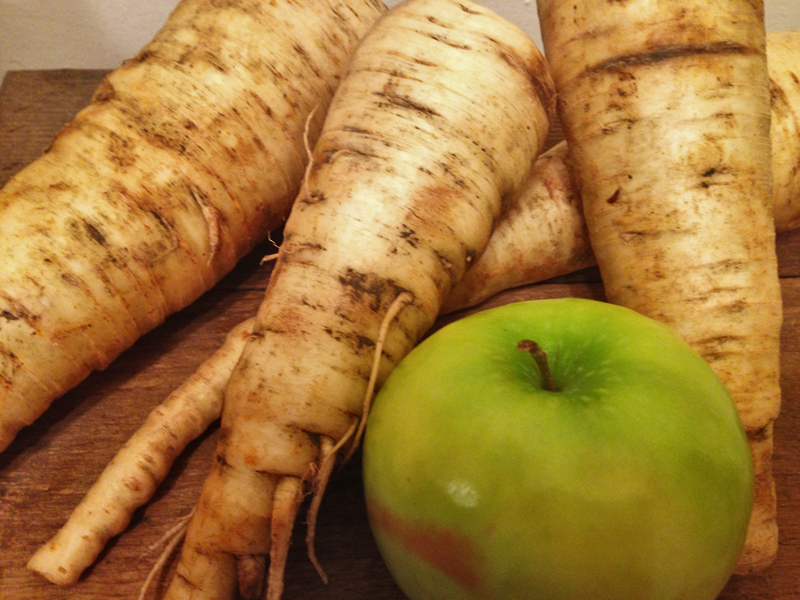 I love parsnips, great idea. Hi Carole, Thanks for the invite. I posted that recipe and a bonus boozy banana pumpkin muffin recipe. I’m a bit overwhelmed by how these linky parties work. Just follow the organizer and post on x day? Thanks again for the invite! I don’t have any plum recipes yet, but will keep in touch re: other link ups!